In honor of back to school season in my part of the world, I’d like to share some notes on Aztec education, as well as a link to an article on the rediscovery and initial excavation of the calmecac in modern-day Mexico City. In case you’re not familiar with the calmecac, it’s one of two schooling institutions created by the Aztecs to educate their children. Dibble and Anderson translate the name “Priests’ House” or “House of Penance,” for reasons that will become clear below. The telpochcalli, or “Young Men’s House,” could be described roughly as a cross between a military and trade school, in Western/European terms. It’s the school primarily populated by the non-aristocratic children, where they would be trained in combat and economic matters more typical of their station. 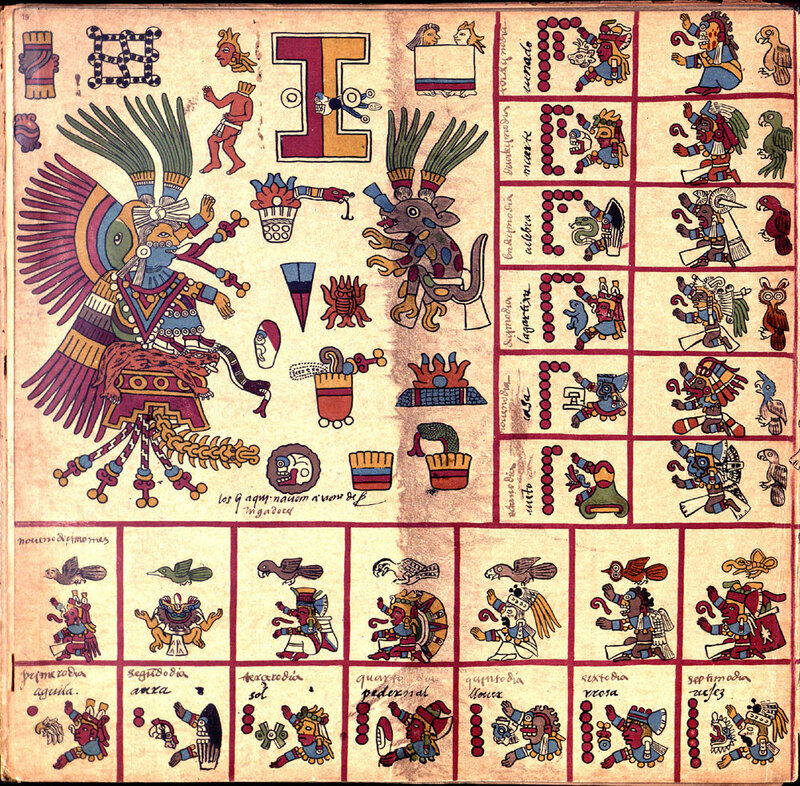 Unlike many other cultures past (and present, sadly), the Mexica-Tenochca were quite progressive with regards to education. They sought to put most children though one of the two schools described above, making them among the earliest proponents of universal education. Even more exemplary was the fact that that this education extended to girls as well as boys! No child left behind? The Aztecs had it covered. Sahagun records that a girl dedicated to the calmecac received a distinctive scarification mark on her hips and chest at this time, and was also given a special necklace marking her as destined for a religious education, the yaqualli pendant. (Dibble & Anderson, Book 6, p.210) He doesn’t note what marks and accoutrements the boys were given. After this initial encounter with their future educators, whether the martial headmasters of the telpochcalli or the religious experts of the calmecac, the child stayed with their parents for another few years until they were deemed old enough to attend the school they had been promised to. After that, they were sent to live at the schools until they completed their education and struck out on their own adult lives. Sahagún, Bernardino , Arthur J. O. Anderson, and Charles E. Dibble. General History of the Things of New Spain: Florentine Codex. Santa Fe, N.M: School of American Research, 1950-1982, Book VI, pp.209-211.